OMD, are you having a bad hump day? Well, Ta Dah, these little dumplings are homemade and handmade by myself with lots of love. If you fancy trying something different and would like a small batch then please message me. 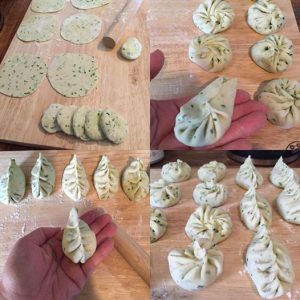 Introducing my garlic chives dumplings with juicy pork, courgette, kale and ginger, delicious pan fried or boiled.